What do you buy the person who's borrowed everything in your closet, answered your phone calls at ridiculous hours, and never judges you on how many dating apps you have, Seamless meals you've ordered in a single day, or selfies you've posted to your Instagram? Well, for starters, something that says "thank you." 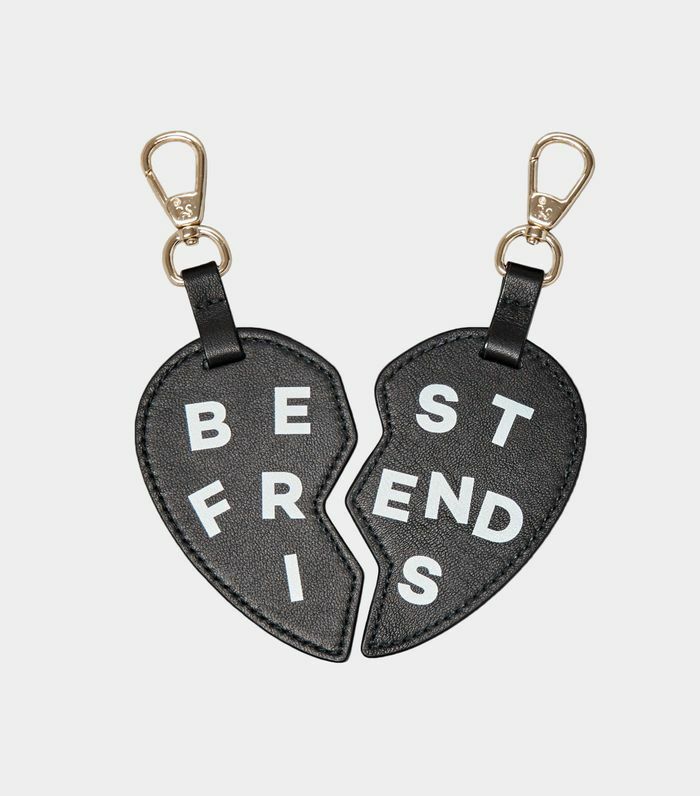 While it's not necessarily easy giving something equally stylish and meaningful to your best friend, the 18 picks below are a solid place to start searching. In a range of price options, these cozy, sleek, and—most importantly—non-cheesy BFF presents are actually worthy of your favorite partner in crime. And better yet, she'll actually use them and won't relegate the package to the back of her closet (to spare your feelings, of course). Click in to browse all the ways to tell your friend she's the best this holiday season. One for her, one for you. A little something bright and unique, just like her. There's nothing more thoughtful than a gift that says "your downtime is important and should be treated as such." These are perfect if you two have really bonded over your love of Neil Degrasse Tyson. It'll be her new favorite sweater. Trust us. Sleek and useful, and she’ll still be able to text you or call an Uber without freezing her fingers. Wrap up a little bit of athleisure, and as a bonus, promise to finally tag along to that shadow boxing class she's obsessed with. Sunglasses may be a tricky item to give, but we can pretty safely say this classic shape will be a hit. A perfectly non-basic white tee you know she'll wear on repeat. This truly special piece will be a part of her wardrobe forever. Don't be surprised if she thanks you every night. And every morning, too. Skip the sparkly statement jewels for something a bit more unexpected. Because her apartment décor is as enviable as her closet, help her elevate her tech gear too with this chic dock. Upgrade her go-to kicks for this elegant, suede pair. A cozy, big-enough-to-wrap-around-your-body-twice scarf is pretty much a hug in fashion form. If she's been telling you all summer how much she loved the basket bag trend, this will be a hit. Add a little something extra personal to her curated stacks (upon stacks) of rings. For the BFF who's aways on the go, gift her with something pretty to keep her life—and many travels—organized. Looking for more personalized options? Take a look at the coolest monogrammed gifts to give this year.